What makes American coins valuable? Supply and demand. That’s the end of my article. OK, there are factors that affect it, but it all comes down to how many there are and how many people want it. Let’s start by defining value. Items can have historical value, sentimental value and monetary value. When you come into the shop with a coin for appraisal, we are focusing on the monetary value -- and appreciating the historical value. We can neither assess nor take on sentimental value. It certainly doesn’t affect demand. So, monetary value. Remember that rush you felt watching Charlie Bucket peel the wrapper off his chocolate bar and see that glimmering edge of a Golden Ticket? 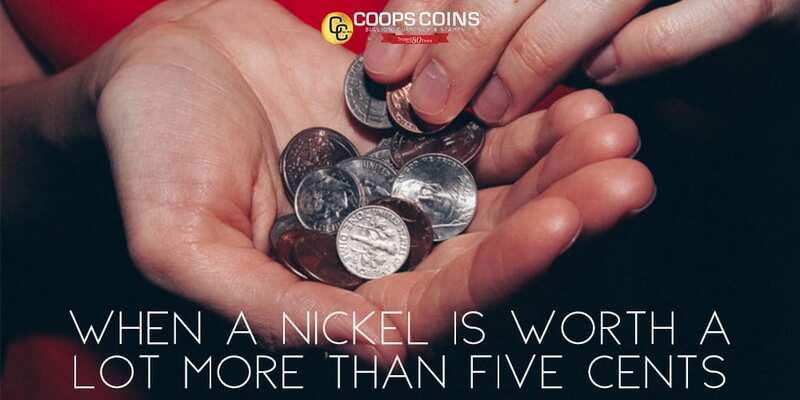 That’s how we collectors feel when we spread our change on the table and notice the date, mint mark and quality of the nickel in front of us mean it’s worth many times more than five cents. Grab a coin out of your pocket and we’ll talk about the factors we look at. 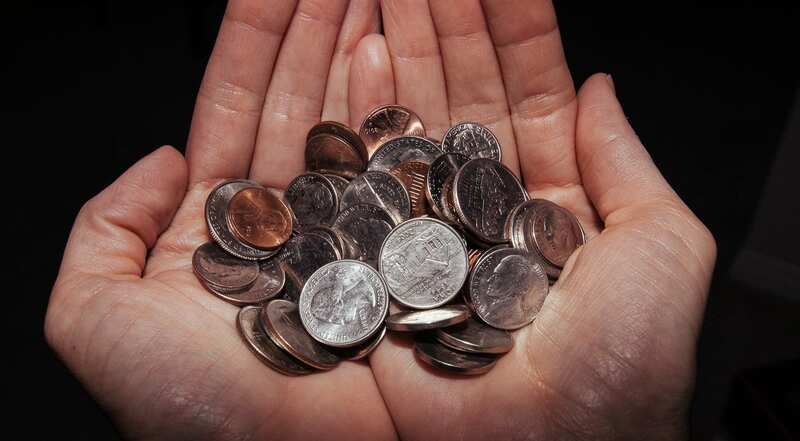 Somewhere to the left, right or under the face on your coins is a date, (unless you’re looking at one that doesn’t, such as a quarter from the state series). This is the first factor in determining monetary value. Some years we have plenty of a certain denomination, and some years we don’t have enough. So in one year maybe the government minted hundreds of thousands of something, (let’s use Lincoln cents as an example,) and another year it minted billions. The fewer were made, the more valuable a cent with that year’s date will be -- Supply and Demand 101. Lincoln cent collectors don’t just keep one coin from each year since the first minting in 1909, they hunt up one from each year and mint mark. This is the letter just below the date (or absence of letter, which has its own meaning) that shows which city it came from. Those mint marks make a big difference in monetary value. Not every region has the same needs during the same years. That means different mints will press different amounts. For instance, in 1931 the mint in Philadelphia made almost 20 million Lincoln cents. These cents -- with no mint mark, because that’s how Philadelphia rolled in those days -- will be worth 50 cents to $30 each. But the cents minted in Denver -- which have a D on them just below the date -- are worth $5 minimum, because they printed fewer than Philadelphia. San Francisco printed fewer still, 866,000 (20 times fewer than Philadelphia), so a 1931 Lincoln cent with an S on it would be worth $60 on the low end. For context, let me point out that in 2010 Philadelphia and Denver each minted more than 2 billion cents. In 2016, that number for each is more than 4.7 billion. 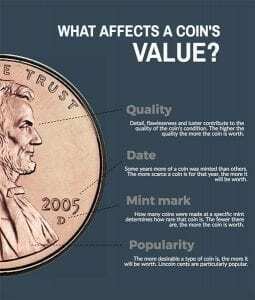 Now that we’ve determined scarcity based on the date and mint mark, we look at where in the price range a coin is going to fall, and that will be based on quality of condition. This refers to the appearance. Can you see the detail? Is it scratched? Stuff like that. Notice I did not ask if the coin was clean. You should never clean a coin that may be collectible. Don’t brush it with toothpaste. Don’t rub it with polish. Don’t go after it with an eraser. Ok, back to my point. Let’s look at the 1931 San Francisco cent again. A low-quality condition (we collectors call that quality “good,” because we are happy, positive people having fun,) would be worth around $60. A mint-state uncirculated one would be worth about $200. The highest coin quality is “proof,” and these are made on purpose to be the best. They’re specially produced for collectors. First they cut out the blank metal circle and polish it. Then they strike it with more pressure than a coin meant for circulation would get. This leads to a flawless impression with better detail and shine than you could ever achieve with standard preparation and production. like this.” No you can’t. These were polished before they were struck and you can’t recreate that. one in proof quality worth $145. Popularity in general affects a coin’s value to the positive, as long as there aren’t so many that the supply exceeds the demand. This is the least influential of the four factors. Lincoln cents are inordinately expensive, and 20th century coins people like because they remember those. If you have some coins you think may be your Golden Ticket, bring them in and let’s check them out. If you appreciate the joy of owning a piece of history, you’ll be glad you popped in the shop. Start your collection. Come see us. No appointment is necessary. Coops Coins is at 21 E. Redlands Boulevard in Redlands, Ca. We are open 10 a.m. to 5 p.m. Tuesday through Friday. Saturday we close at 4 p.m. We are closed on Sunday and Monday.